*Challenge runs from January 1 to December 31, 2018. *You may sign up anytime from now until November 1st, 2018. *Books must be owned by you prior to January 1, 2018. No library books. *You may count any “currently reading” book that you begin prior to January 1–provided that you had 50% or more of the book left to finish in 2017. I will trust you all on that. *A blog and reviews are not necessary to participate. If you have a blog, then please post a challenge sign up and link THAT post (not your home page) into the linky below. Non-bloggers, please leave a comment declaring your challenge level–OR, if you are a member of Goodreads, I will once again put together a group for the challenge there. Feel free to sign up HERE. 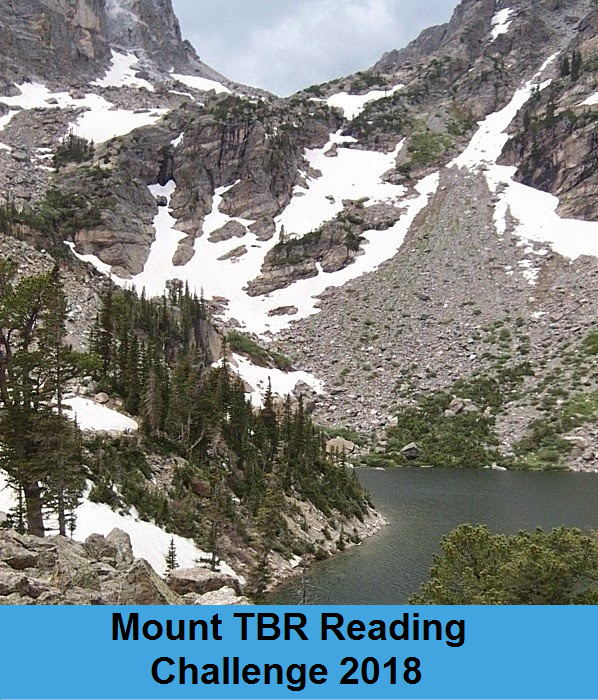 At the beginning of the year, I will once again have a sidebar link for called Mount TBR Review Headquarters for 2018 reviews and progress updates.